This is something that’s always been a challenge for me when writing for The Simple Dollar. I try very hard to only write about things that have resulted in positive change in my own life, and I want to present it in a “take it or leave it” way, not in a “you must do this or your life will be worse” fashion. Adam makes a ton of great points in this video. It’s well worth watching from beginning to end, as he tells a great story, too. It is incredibly hard to forgive someone for a perceived wrong. To do so requires a great deal of strength, not weakness. I absolutely love Lindsey Sterling. She’s amazing at making instrumentals and violin work exciting and accessible to pretty much everyone while still performing technically demanding pieces. Here, she takes the theme from Phantom of the Opera and recasts it in a rock concert – and that’s just the first third of it. How would you live today if you knew that everyone in your life would judge you solely based on today? Why not apply that standard to every day? A wide diversity of experiences and knowledge causes you to look at the world in completely new and different ways. I find that the more I know and see, the harder it is to hold an “absolutely yes” or an “absolutely no” stance on most issues. I’ll confess to a bit of ignorance here. 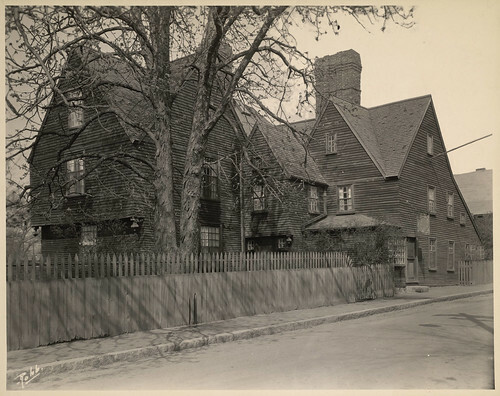 I did not realize until just a few days ago that the titular “House of the Seven Gables” from the Nathaniel Hawthorne novel was actually a real house that he inhabited in his youth. Even more amazing, it’s still standing. I feel far more creative and alive when I play with my children than I do at almost any other time. There’s something magical in letting go of your inhibitions. Don’t let secrets build up. They can rise up and destroy things in your life. You’re far better putting everything out in the open with the people you value and trust the most. What kind of person are you when no one else is looking? That’s the true sign of the person you are, because that’s how you’ll naturally react to every situation.